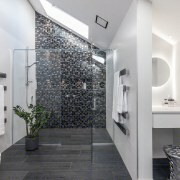 When it comes to temperature and ventilation, there’s no room in the house more difficult to manage than the bathroom. You’ve got several fixtures capable of pumping out hot water in a confined space, which means steam is always going to be a problem. We’ve broken this article into two distinct sections, though make no mistake – you can’t deal with one without thinking about the other. 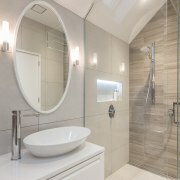 Creating a warm bathroom means considering a number of different technologies, all of which we’ll cover here. Underfloor heating: This system uniformly heats your bathroom, using either tubes filled with hot water or electric coils beneath your tiles. With both systems, the heat radiates up through the floor and fills the room. It’s effective, waterproof and very easy to manage. You can read more about underfloor heating in our article. 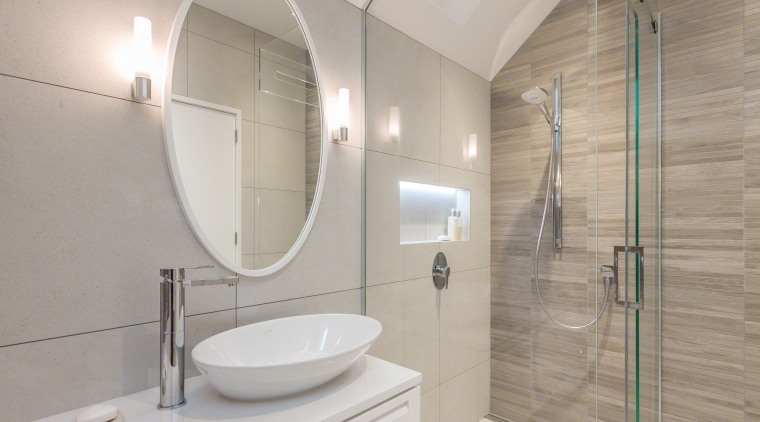 Wall heaters: Less effective than underfloor heating but a more realistic option if you don’t want to pull the floor up, wall heaters are an affordable option for warming up your bathroom. You can buy these heaters from most hardware stores. Passive heat: There’s active heat (like underfloor heating and wall heaters) and then there’s passive heating (windows and skylights). Passive heating is important, as both windows and skylights allow the sun to light up your bathroom during the day warm the room. 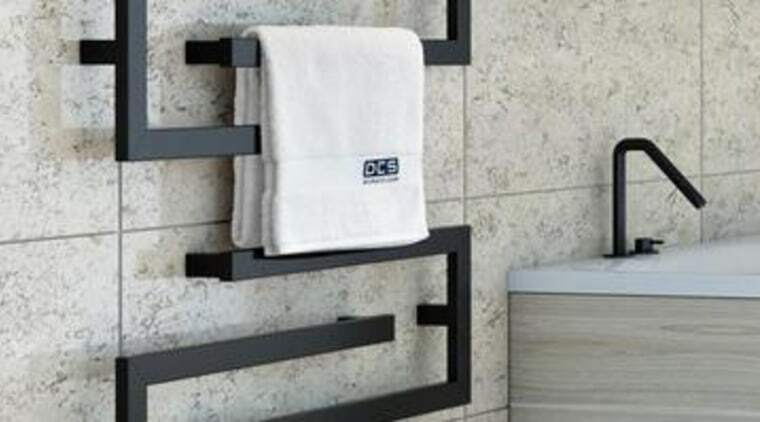 Heated towel rails: Essential for drying your bathroom towels and keeping them warm, a heated towel rail will also just generally help to heat the bathroom. 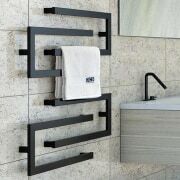 See our towel rail collection. 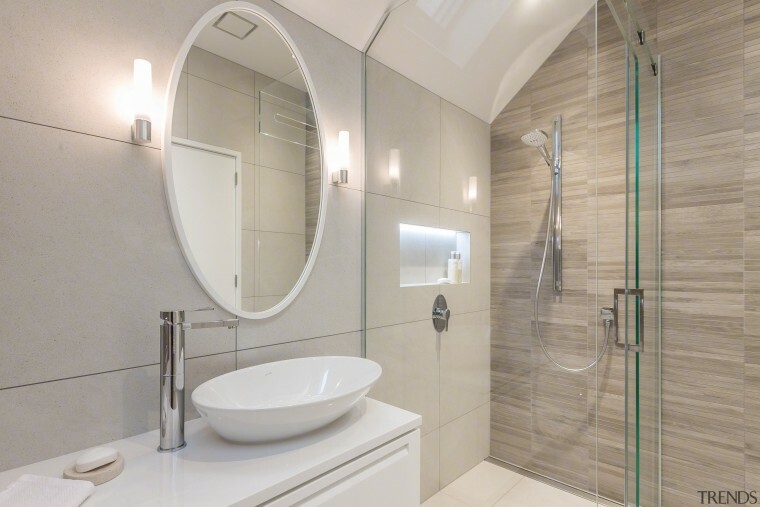 Mirror demisters: After you’ve had a shower, chances are there’ll be a good amount of mist in the bathroom – even if you’ve got a good fan running. Mirror demisters essentially heat the surface of the mirror from behind to clear up any misting. You’ve got heating in place, now it’s time to move onto ventilation. Ventilation system size: The type of ventilation system you install correlates directly to the size of the bathroom. Basically, bigger bathrooms require more ventilation. We recommend following the guidelines set by the Home Ventilating Institute. As fan ventilation capacity is measured in litres per second (l/s), the Institute recommends 0.50 l/s per square metre in the bathroom. Bathrooms over 9.2 square metres require additional considerations, namely 23.6 l/s for the toilet and 23.6 l/s cfm for the shower. Larger bathrooms can benefit from systems that channel the air outside, instead of just pumping it into the cavities above the ceiling. For smaller bathrooms, single integrated units with a light, heater and fan are an excellent option. Consider noise: When shopping for a ventilation system, think about whether noise matters to you. Fan noise is measured in sones, which is a measurement of sound based on how comfortable it is for the average person. A lower sone value will be quieter and thus more comfortable, while a higher sone value will be louder and more uncomfortable. A rating of 0.5 to 1.2 sones is extremely quiet, while anything over 4.0 is quite loud. We think it’s best to find a unit no louder than 2.5 sones. 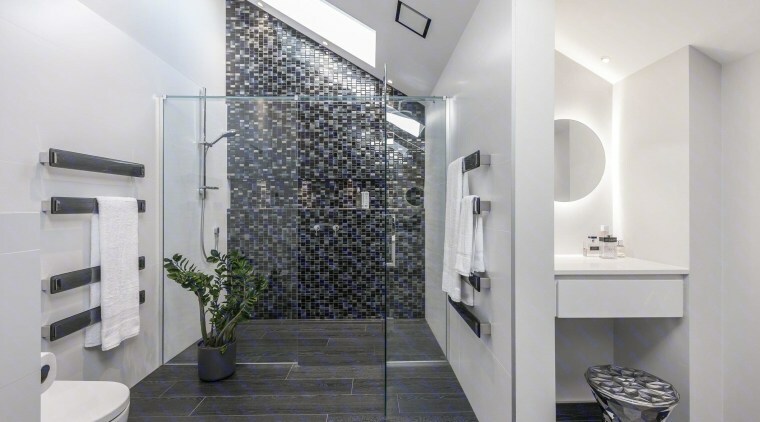 Head over to Trends Bathrooms to get inspired for your next bathroom project.